These pastures are part of the Kimberley red soil group - not spinifex pastures, and black speargrass (Heteropogon contortus) is the identifier grass. Use the interactive key to pasture condition to help identify pasture type. Black speargrass can be heavily grazed when young, especially when regenerating after fire. However, mature black speargrass is not preferred by cattle and so the value of the pasture largely depends on the other species growing with it. When pasture condition declines and undesirable or unpalatable species become more dominant, the carrying capacity of black speargrass pasture is quite low. It is possible that some black speargrass pastures have become established on previously degraded red-soil areas that used to carry more productive pasture types. Black speargrass pastures occur on plains and lower hillslopes throughout the east and north Kimberley. They are found on a variety of sandy to loamy soils and usually occur as grassy, open eucalypt woodlands. Good: In good condition, these pastures are almost completely dominated by black speargrass. The plants are robust and, unless the pasture is regrowing after a fire, there is virtually no bare ground. Small amounts of other desirable perennial grasses, such as white grass and ribbon grass, may be present, but generally do not comprise more than 20% of the stand. Figure 1 Black speargrass in good condition in the Kimberley (photograph taken in May 2008). A Black speargrass, a desirable species in this pasture type, is dominant and forms a dense stand. B Only a few undesirable species, such as perennial threeawn, can be seen; groundcover is very dense. Fair: As pasture condition declines from good to fair, black speargrass remains dominant but its density is reduced, with gaps visible in the stand. Intermediate species, such as wire grass, and undesirable species, such as threeawns, become more prominent. Palatable perennial grasses, such as ribbon grass, are all but absent. Figure 2 Black speargrass in fair condition in the Kimberley (photograph taken in June 2008). A The desirable perennial, black speargrass, is still dominant, but the stand is less dense. B Small areas with no perennial grass cover are visible. C There is an increased amount of the undesirable perennial threeawn. 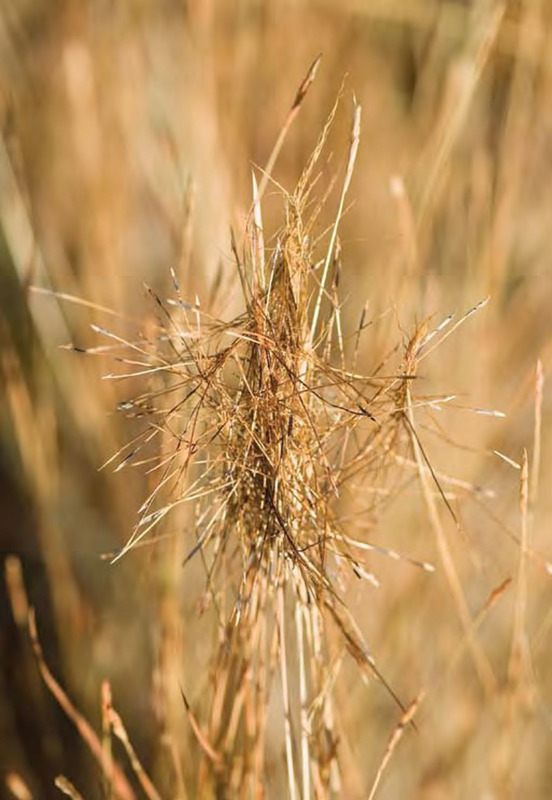 Poor: Poor condition is characterised by increasingly large areas with little or no perennial grass cover between the black speargrass plants. These areas may support annual grasses early in the season, but often become bare later in the year as the annual grasses are grazed, trampled or dry up and blow away. While undesirable perennial grasses and a few scattered intermediate species may be present, black speargrass remains the dominant perennial grass. 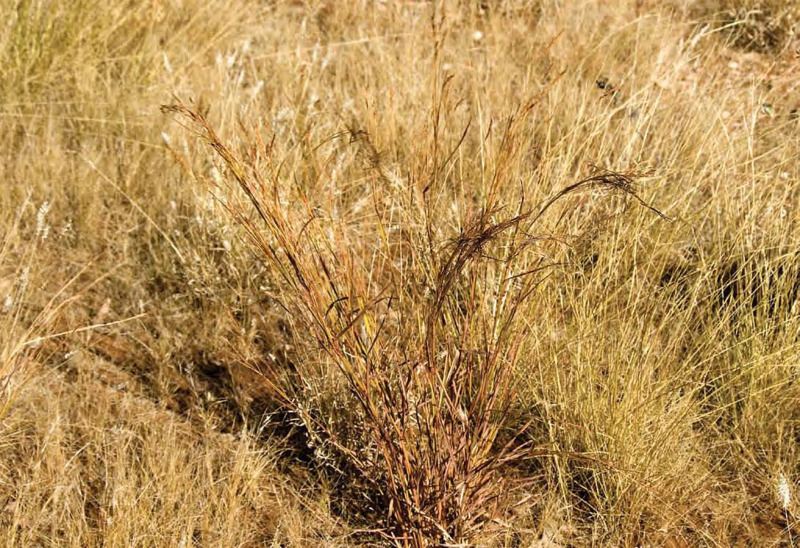 Figure 3 Black speargrass in poor condition in the Kimberley (photograph taken in July 2008). A Black speargrass is still the dominant perennial grass, but the stand is broken up into smaller clumps. B Large areas with no perennial grass cover are visible. C Undesirable species, such as perennial threeawn, are scattered throughout the black speargrass.